Once again we arrive at 6-bells and time to announce our next round of Game Code Prize Winners. It’s Round 3 of Pirate101’s Birth-O-Ween celebration!! We have 3 codes from our Second Prize Package. 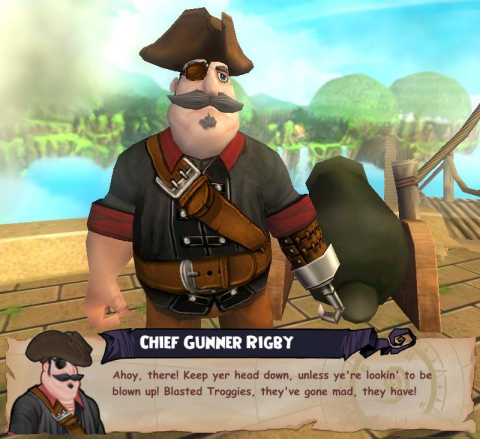 Winners receive Captain Blood’s Hook and 5,000 Crowns! When you enter the Pirate Spiral, the first place you go is Skull Island. There you’ll be sent to meet Captain Avery. Who is the very next person you meet? When you arrive at Skull Island you’re sent to meet Avery in his courtyard. You find him inside his Governor’s house where he makes a bargain with you. Run off to find a talisman that was stolen by Fin Dorsal and Avery will give you a ship. We received 36 entries for our contest this round. Of those 33 provided the correct answer. Captain Aedan Hawkins, Captain Garrett Hawkins and I picked three random numbers. We counted through the emails and those were our winners. I picked 14, Aedan selected 6 and Garrett choose 23. This entry was posted on October 19, 2013, in News and tagged celebration, code, contest, game, giveaway, pirate, Pirate101, prize, winners. Bookmark the permalink.